On Saturday my family and I visited Maize Maze (www.broadfieldsfarm.co.uk). It’s something I’ve personally wanted to do for many years with only the British weather previously stopping us. Whilst we had fun running around, chasing the kids and registering that none of us have any navigation skills whatsoever, I realised how much been within the maze and walking around with no clear idea of where to go represents a lot of my clients. when people are lost they have no clear idea what they are doing, where they want to be and have no idea of how to ask for help. 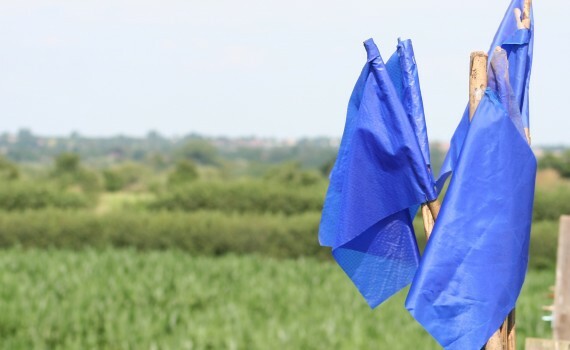 At the start of the maze there are blue flags to take with you and to hold up if you get completely lost and want someone to help you and I couldn’t help but see the therapeutic relationship. As with last weeks blog asking for help is difficult when it comes to emotional support (and also if you happened to be lost in a maze). Persevering in both senses without waving the blue flag just prolongs the situation maybe it wont get worse but its certainly not going to get any better either. Raising the Blue Flag isn’t a sign of weakness its a sign that you want to move forward and heal what is happening. Waving the blue flag and saying I’m lost means you can actually get the help that is needed so you are able to move forward, work through and explore further and no longer feel lost.